If you are looking for an American History review, I promise you cannot do better than this downloadable package! Included in this zipped download is a 17 page packet and 34 slide Powerpoint that covers ALL essential information students need to know based on state and Common Core Standards! The printable packet is organized into units. Each page covers a new topic (The Colonies, Declaring Independence, etc) with simple graphic organizers to help students organize and understand all information. The units go all the way through to modern America and Presidents Bush and Obama. The Powerpoint corresponds directly with the packet and contains completed notes for each unit that you can present to students as they fill in the graphic organizers. Complex topics are broken down for students to easily comprehend in preparation for final exams and testing. You can also edit the Powepoint to add or take away items specific to your classroom! I usually present 2-3 pages per day to students as we begin to review about 2 weeks before our final testing. Since implementing this review strategy, my classes have seen consistently high pass rates. For students in need remediation, printing off the completed powerpoint is an excellent way to provide an amazing study guide. You can download this complete package with the powerpoint and printable packet by clicking here. This amazing project can be implemented into any unit as a fun way for students to demonstrate their learning! Let your students show off their creativity in creating a superhero or supervillain out of a historical figure you have learned about. My students have turned Harriet Tubman into "Moses the Great" and Henry Ford into the evil "Model-T Pain". Each superhero and villain must include abilities, weaknesses, and an origin story based off of things your students learned about these people. Included in this download are a template for the project, official example and rubric, and 3 exemplary student examples. This makes for a great final project, review activity, or ongoing assignment. My students put a lot of thought and creativity into this and loved presenting their figure to the class! Definitely a wonderful project for your students to demonstrate their learning! You can download this lesson for your students by clicking here! Here is a great reading for students on the history of St. Patrick's Day and who Saint Patrick really was. A great resource for younger students who are interested in why the holiday is connect to Ireland and the cultural connections involved. You can download this simple, 2 page lesson here for just $1! This fantastic, interactive story brings your students into history! 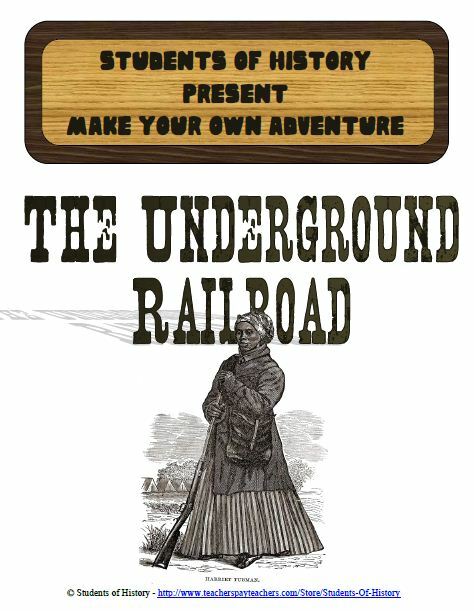 In this reading, students assume the role of a slave in 1852 who is given a chance to runaway with Harriet Tubman along the underground railroad. However, they can choose to stay or go and the story changes based off of the choices they make throughout the story. 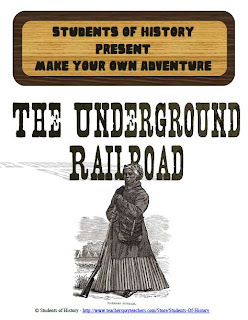 Similar to the old Choose Your Own Adventure stories you might have read as a kid, this is a fantastic way to teach students about how the Underground Railroad worked and the dangers escaped slaves faced. My students loved this and read each different scenario to see what would have happened if they had made different choices. While a fictional story, all information is based off historic accounts and is aligned with state and Common Core Standards. A set of questions for students to answer based on their choices is included as well. This makes for an excellent in class reading or homework assignment for your social studies classes! There is also a FREE preview file that you can download this amazing story for your classes by clicking here! With this blizzard still raging outside DC, I tried to be productive and uploaded several new lessons onto TpT. This powerpoint contains some amazing pictures, graphics, and information about every aspect of the Great Depression and is a great companion to the Great Depression graphic organizer posted earlier. 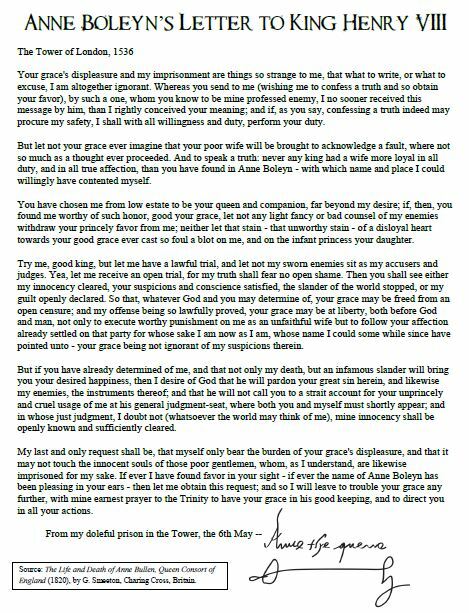 Next is a primary source letter was written by Anne Boleyn to her husband, King Henry VIII from the Tower of London after her arrest in 1536. In in, she makes an impassioned plea for mercy and a fair trial and insists on her innocence. Or course, she was found guilty of high treason however and beheaded. It makes for a wonderful reading for your World History, World English, and social studies student because the reading level is just challenging enough and from a dramatic moment in history. One of the skills I find my students need help with is the ability to effectively classify information from history. I had taken this for granted in my early years teaching, but now make sure that I work on this skill every so often. For our Great Depression unit, I use this graphic organizer worksheet, which lists 15 different aspects of the Great Depression and New Deal. Students must classify each into one of 4 boxes at the top: Causes of the Great Depression, Characteristics of the Great Depression, Characteristics of the New Deal, and Long Term Effects of the Depression. This is fantastic for your students to think about cause and effect as well as the difference between the New Deal and the Depression. This worksheet is really effective for my students at helping them to classify essential information. This file can be downloaded for your classes here. An answer key is included for your convenience. Thank you for looking! Labels: american history, group work, lesson plan, new deal, US history, worksheet. Let Snoop Dogg Help Your Students Learn US History! My newest resource is one of the most fun worksheets my students go crazy for all year long. Each of these is a cloze reading activity that includes vocabulary from American History and a story translated into "Snoop Dogg" speak about a different topic. The result is a hilarious overview of each unit in American history. Each is one page and can be completed by students as an in-class activity, for homework, or to review before a test. You can download all of them as a bundle from here. Each is available individually as well. The first one you can download covers the early American colonies, including Jamestown, Plymouth, Pennsylvania, and the growing discontent with British rule. 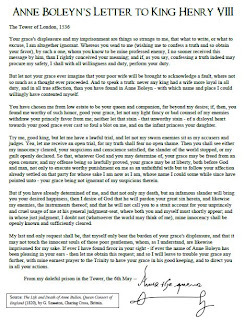 The second Snoop Dogg review available for download reviews the causes, events, and outcomes of the American Revolution. The third is an overview of America's early years. This one also available for download covers the early presidents, War of 1812, Age of Jackson, sectionalism, and the Trail of Tears. Lastly, this 1 page cloze reading covers all major aspects of the Civil War and Reconstruction eras in the same Snoop speak.